One of the biggest changes I made on this journey was to eat every 2 to 3 hours. Each time you eat, you stimulate your metabolism for a short period of time. The more often you eat, the more you’ll increase your metabolism. Eating every 2 to 3 hours feeds muscle and starves fat. By eating frequently, you show your body that you aren’t going to starve, that food will always be available. Skipping breakfast, eating only a sandwich for lunch, and pigging out at dinner just frightens your body into storing fat, just in case your next meal never comes. However, you must eat healthy. Frequent eating does not mean snacking and munching mindlessly on junk food and over processed convenient foods. Make each mini-meal complete with a serving of vegetables and a healthy source of protein like eggs, chicken, or nuts. 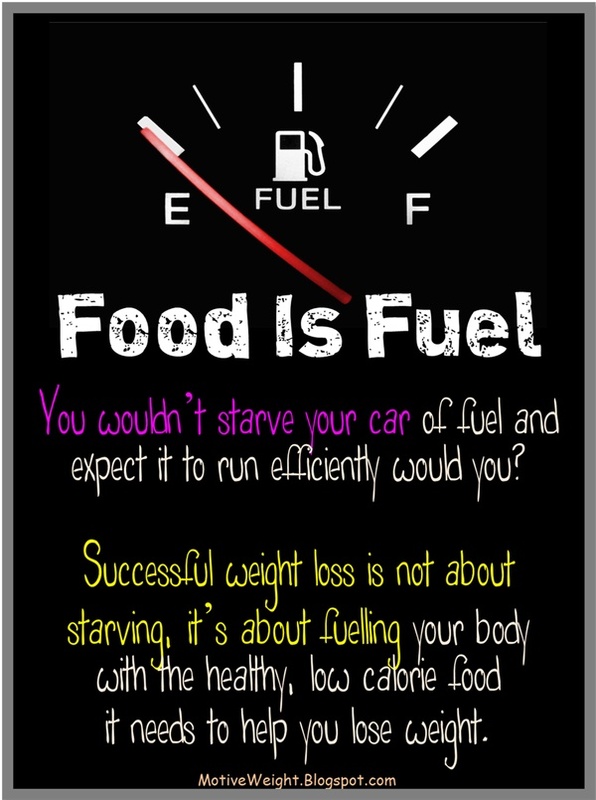 Thanks for putting a positive spin on the “Food is fuel” idea. So often I hear people say something along the lines of, “I used to just eat whatever I wanted, but now I only eat healthy [bland or unpleasant] food because I know it’s fuel for my body.” There’s no need to turn off your natural desire for food that tastes good, as long as you find food that is also fueling your body properly. Another technique I used when I was trying to lose weight was to eat as much as possible within my calorie allowance, rather than starving myself. I knew I was going to have trouble sticking with a healthy lifestyle if I was craving food all the time. So true, Fred! It’s all about perspective and making a change for life, not just treating it as a temporary fix.